What a story this turned out to be, and quite frankly I don’t know why I was so surprised after reading this one. The first book was a whirlwind for me, but there was something more about No Other Highlander that definitely had me eager with every page to get a glimpse of Joan and Malcolm and their charming family. This story takes some twists and turns, from seeing characters that are flawed and imperfect but somehow turn out to be perfect for each other especially when they don’t seem to be the “perfect match” in the beginning. They have some powerful chemistry build up in the story, but also what was stunning was the flair of drama and action this author brings to the story. We see how various elements of the story come together in ways you don’t see coming and it will give the reader a few surprises here and there. Now I would say that this book is more of a marriage of convenience with both characters having young children. Now let me mention the children very quickly. First off, both of these kids are charming and enchanting and I really adored both of them in their own way. Joan’s little boy, is quiet and sweet. He is the type of child that makes friends with everyone, who is gentle and has such a kind spirit. And to be honest he really balanced out the tough and strong character types with his sweet personality that softens the flow of the story so its not as harsh as it could be. Then we have Malcom’s girl and she is twister of stubborness and a strong willed spirit and very very spoiled. What I liked was seeing how a firm hand with children can really make the difference and the author shows us the difference and I love that. Our heroine really plays a vital role in this girls upbringing, especially since she knows how important it is to not let her become as Joan had once been. It was too hard and painful to get to who she is in the story, and even though it causes some fun yet crazy tension, we see the power of Joan’s personality that really makes a difference. We have some great times with Malcolm’s family again, and I had forgotten how entertaining their parents are. The romance that builds between these two is slow building, it doesn’t happen over night and the challenges that they are faced with build their relationship even stronger. I love how they are with each other from the beginning, Its very interesting to see the play of dynamics between Malcolm and Joan and how they don’t deny feelings for each other especially when everyone else around them disapporves of their relationship. 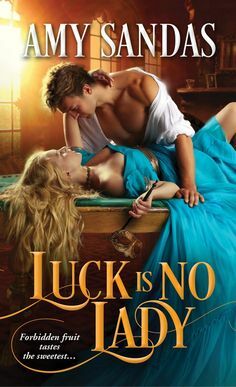 I admired seeing the way this author took this story in such a way that was informative, endearing and swoony to the end!